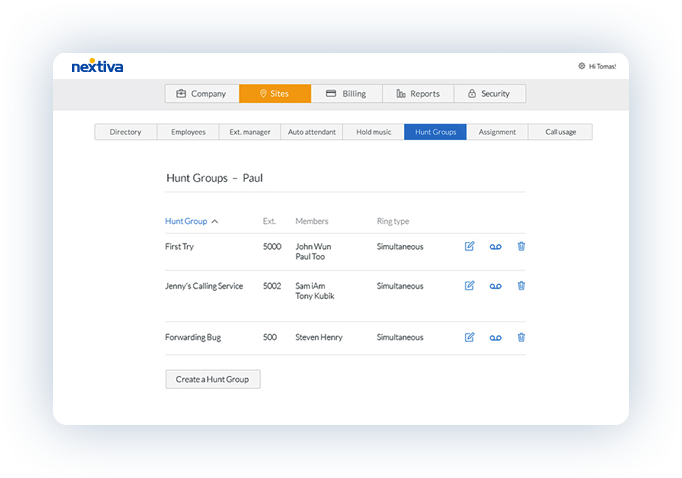 Nextiva Connect allows you to receive local and toll-free numbers for a fraction of the price of traditional phone system plans. Low monthly cost that includes unlimited talk time. Eliminate caller transfers and extensive hold time. Route your calls up to 5 alternate numbers to ensure they are answered. Initiate your service within seconds to begin making and receiving calls with your existing mobile device and current phone number. Add and remove employees as your business needs change. Easily update your company directory as often as necessary. Start with forwarding phones to up to 10 different numbers.